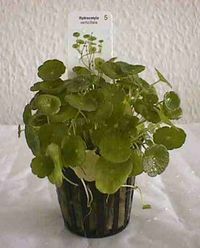 This is not an easy plant and must have high light and soft acidic water in order to thrive. Grows across the substrate trailing roots and putting up a few rounded leaves at each node. This page was last edited on 21 August 2011, at 21:23.